The path to a career in technology hasn’t been a linear one for Travis Windsor-Cummings, an East Memphis husband and father of two young children whose work history includes roles as a restaurant line chef, a wire technician for a telecommunications company, and, most recently, a yard jockey in the logistics field. 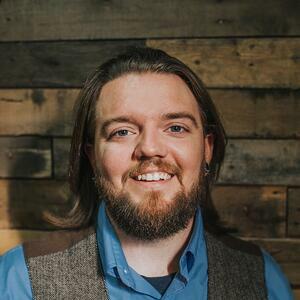 As a millennial, Travis was adept with technology in his personal life and had taken some coding courses in high school, but never considered a career in the field. 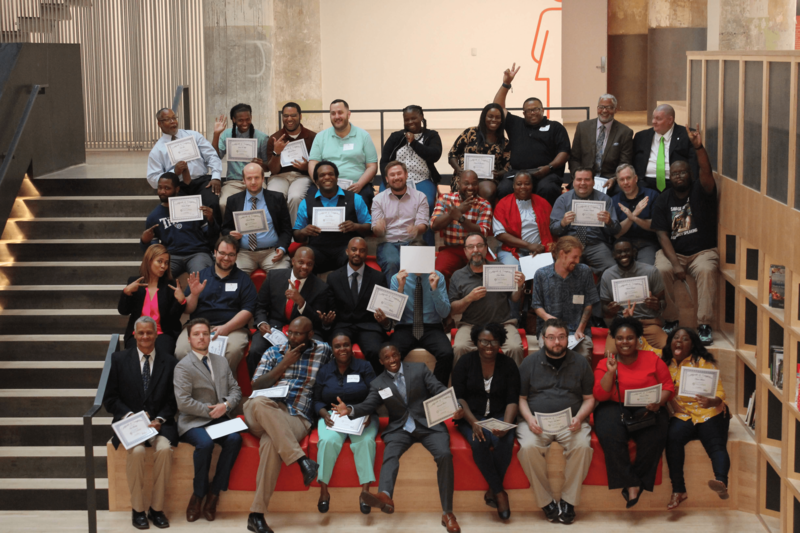 That is, until witnessing the success his older brother, Darrin, experienced through his involvement in Tech901, which offers Memphians low-cost, hands-on training for a variety of information technology jobs. Through the program, Darrin discovered his passion and talent for coding and, upon graduating, received multiple job offers, ultimately accepting a role as a solutions analyst for FedEx. In September of 2018, Travis began Tech901’s Code 1.0 course, where he learned to think algorithmically while building programming skills. A significant portion of the course is based on Harvard’s CS50 curriculum, so in addition to a Tech901 certificate, students who successfully complete an individual project within a year are eligible for a Harvard EdX certificate. Travis has also been taking community college classes for some time now, working toward an associate degree, which he plans to complete in time. Travis said that he also finds the organization’s model offers more opportunities for engagement, networking, and community building. 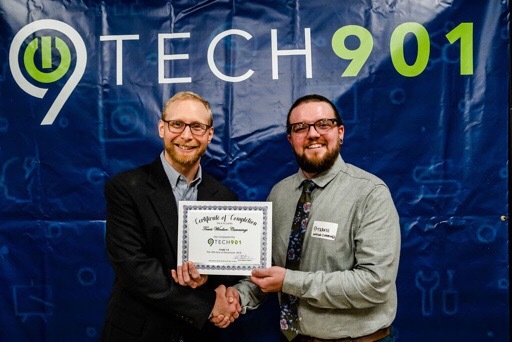 In December of 2018, Travis graduated from Tech901, receiving his certificate in coding. He hopes to work in web development, where he can combine his coding knowledge with the graphic design skills he’s learned in college. He’s also signed up for a Tech901’s IT Project course for fall of 2019 to learn more about software development and the processes involved in successfully organizing and accomplishing a project. Travis continues to network, searching locally for a position with a company where he can apply the skills he learned and passion for technological problem solving that he discovered through his Tech901 journey. Travis said he’s become an unofficial ambassador for Tech901, taking every opportunity to encourage people to explore the organization’s offerings. Special thanks to our contributing writer, Aisling Maki for this post. PR specialist with 15 years in the professional communications sector, including work as a print, digital and broadcast journalist; PR account executive and chief copy editor at an agency; and self-employment as a PR and media relations consultant.